activities such as a race aided by staff. 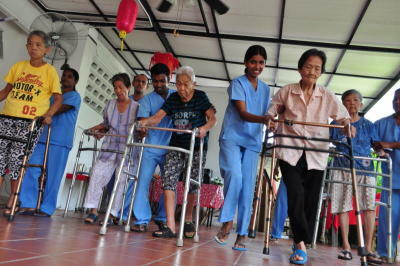 Within this group, the number of elderly people over the age of 75 will reach 1.1 million. The perks of being a senior citizen may include 50% discounts when it comes to bus fares, air tickets and train rides, but to enjoy these discounts, one needs to be financially and healthily sound. So how much does one need in preparation for their golden years? On the cosmetic front, Malaysian Hairdressing Association (MHA) president Billy Lim reckons some 50% of 60-year-olds in urban areas will resort to colouring their hair in the bid to keep appearances fresh. By some estimates, about 840,000 individuals will spend between RM100 and RM200 a month in salon colour procedures, which will enrich the hair industry by RM168mil nationwide on a monthly basis. This will not include additional hair treatments for hair loss, repair and texture improvement which will cost an additional RM80 to RM200 per customer, depending on individual condition. On medical bills, consultant physician and geriatrician Dr Rajbans Singh, concurs this will depend on how one is ageing. 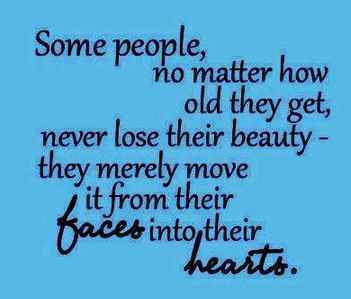 “Someone who is ageing well will not need much. I have patients who only see me once a year for a regular check-up and the cost will just be a few hundred ringgit,” said Rajbans, 53. This low-expense scenario, however, changes dramatically with the onset of disease. “If one has multiple pathologies and is on multiple medications and requires frequent visits to the doctor, the cost could go up to almost RM1,000 a month in the private sector, up 10 times if the patient needs hospital admission. “The cheaper option would be to resort to government healthcare, but the waiting time can be longer and the hospitals much busier,” he said. became friends at the home. For those who believe in setting up an umbrella before it rains, there is an option in DNA profiling. This can allow physicians to identify potential diseases that may occur. 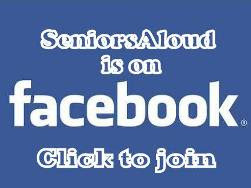 In seniors. Rajbans points out this can be used for more accurate prescription of supplements for health and wellness instead of relying on guesswork. Depending on the number of genes and number of consultations, this can cost between RM2,500 and RM4,000, but it will be a one-off as genes don’t change. Rajbans points out there is no quick-fix solution to the goal of ageing well and keeping medical costs low. “A healthy lifestyle is the key. I tell patients that wellness is proactively doing things every day to prevent disease, whether it is in terms of nutrition, exercise, stress management or avoiding toxins,” he said. Leading by example is Professor Emeritus Datuk Khairuddin Yusuf, the former department head of obstetrics and gynecology in Universiti Malaya Medical Center (UMMC) and author of Aging: A Beautiful Journey, published by UiTM Press. Now 74, Khairuddin’s journey towards his current state of fitness began at age 32, two years after obtaining his fellowship from the Royal College of Surgeons in Scotland during the late 1980s. The workload of applying for grants, writing books, conducting research and learning Chinese so that he could communicate with his patients filled his briefcase to the brim. “I began to notice my health was far from good. So, I decided to get some exercise by going for regular swims at the pool in Kelab Syabas (now PJ Palms Sports Centre) for under RM2 per session,” said Khairuddin. For all of life’s challenges, Khairuddin’s answer was not to turn to drink or drugs, but exercise. When he lost his first wife to cancer, he took up yoga. To combat the stresses of work, he took up judo. Both activities cost RM20 a month each. By the time he turned 50, the expenditure for his sporting activities would match his “work hard, play harder” motto for this was when Khairuddin discovered the joys of mountain climbing. One of his climbs would include forming an expedition to Mount Kilimanjaro that would cost the team US$20,000 (RM 60,469.90) as mountaineering gear at that time was mostly imported. To better his skills, he also enrolled in the Himachel Pradesh Mountaineering School in India for personal tuition, paying RM2,000 to prepare himself to scale Mount Aconcagua in Argentina. By the time he was near 60, the father of four children, who had also taken to competing in triathlons, would be the proud owner of a RM30,000 Velo bicycle. But one angioplasty later, the former government servant who paid just RM17 for a procedure that would have easily come up to RM40,000 if done at a private hospital, was forced to decide on something a little more sedate by his loved ones. As the golden rule of happy ageing revolves around pursuing things that make one happy, Khairuddin took private dancing classes, paying up to RM100 per session. By the time he was ready to show off his twirls at dance competitions at age 68, he was paying the instructor up to RM800 a month in training sessions at his home. It was worth it as out of 20 competitors, Khairuddin and his partner, a mutual friend of his second wife, came seventh in an international event. Sandwiched between mountaineering, triathlons and dancing classes, Khairuddin also managed to slip in vocal lessons where he showed off his talents as an operatic tenor, singing in Spanish and Italian. At one event, after his rendition of Beautiful Maria with the Puchong Orchestra in Shah Alam, some 20 girls came running after him for his autograph. By the time, he was 70, the people from the Selangor Orchestra were requesting for him. Rising to the challenge, Khairuddin promptly engaged a voice coach. RM2,000 and eight months later, he was ready to give them his Spanish rendition of My Way. Today, Khairuddin reckons that in addition to his fitness club fees of RM150 a month, an additional RM100 goes towards gym gear, which is equivalent, if not more than, the amounts that may go to maintaining a nicotine or booze habit with zero health benefits. What of the elderly who will need care? 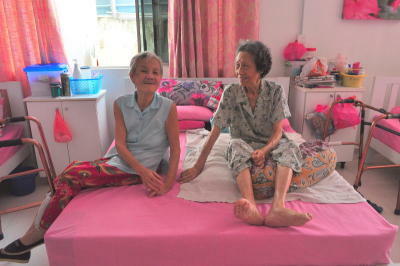 For Mei Heon, 39, who has opted to care for her parents Heon Ee Hup, 86, and So Way Tow, 83, it is their medical bills that make up the bulk of the expenses. About two years ago, Heon’s father, Ee Hup suffered a stroke which took place in the same year her mother, Way Tow, sustained a fractured hip after slipping in the kitchen in the wee hours of the morning. The bill for Way Tow’s private-hospital bill came up to RM18,000, the total for a two week stay. This would not include the cost of Ee Hup’s RM5,000 hearing aid and his monthly insulin injections and eye drops, which come up to some RM200 a month. Incidentally, when Ee Hup came down with stroke, he was on holiday in Tibet, which meant he had to be treated there before flying back to Malaysia. In all, Ee Hup’s medical bill and air fare cost another RM20,000. Though Heon is fortunate enough to work flexible hours as a wealth-accumulation adviser, she has to engage the services of a full-time maid for about RM700 a month to look after her parents when she is at work. As the youngest of six siblings, Heon is able to share the expenses with her brothers and sisters. But the crucial factor that would allow Ee Hup and his wife, Way Tow, to live in relative comfort in the cool interiors of their bungalow in Taman OUG is the former’s prudent habits with money as a businessman in his younger days. “If my father had not invested his money in property, it would have been very hard for us his children financially,” said Heon who felt that people should seriously consider having medical insurance. 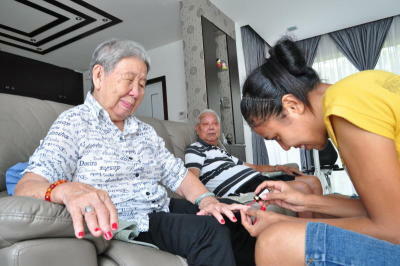 But for this doting daughter, it is not the expense, but the quality time with her folks that matters. No matter how busy, she makes time to take her parents for their morning exercise at the nearby park every Tuesday though she has bought both exercise bikes at home. “For me, there will be no question of sending my parents to a nursing home, not after all that they have done for me,” said Heon who obtained her degree in actuarial science in Australia. But when care for the elderly has to be centralised, owner of St. Mary’s Nursing Home, Sonia Jagit Kaur, 60, gave a frank calculation. For RM1,800 a month, 12 workers ensure residents are given five square meals daily, that medication is managed and dispensed accordingly and residents are kept active and entertained with games and activities. Those who can afford up to RM2,300 a month are entitled to a single room with a television, air-conditioning, attached bathroom and a double bed. Costs are higher for bedridden patients who need full-time nursing care. A ripple mattress to help minimise bedsores can cost up to RM50 a day. Adult diapers are an extra RM300 a month, and changes are done three times a day. 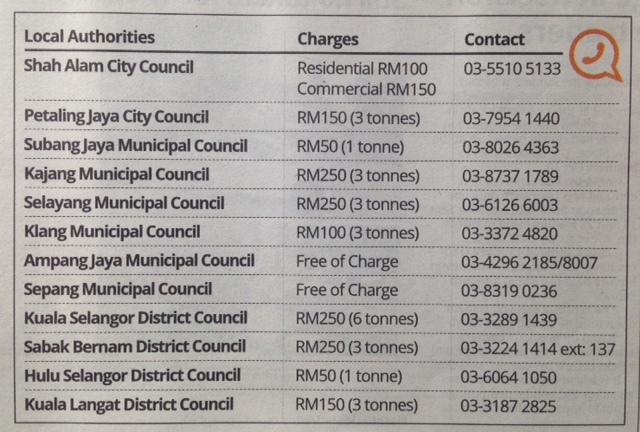 Those on tube feeding and urine catheters are charged RM60 per change. Sonia said the rates are expected to rise in the next 20 years in line with inflation, though the challenge is not in keeping the books in the black or the residents content but in assuring relatives their loved ones are well cared for. “Today’s generation is well-educated and they are naturally more demanding,” said Sonia who reports annual revenue of RM600,000 a year for the home. Of the 58 residents residing in the 28-year-old nursing home, more than 20 are bedridden, six are Parkinson’s patients and another two, need round-the-clock care as they are in the advanced stages of Alzheimer’s. Sonia cited reasons why children see the placing of their elderly in a nursing home as a safer option. In serious cases, an elderly patient may be bedridden and require nursing and constant care, a daunting task for untrained care-givers. “Rather than leave them home alone, they see it as a safer option to bring the elderly here. In some cases, the frightening experience of having a parent falling and hurting themselves while they are away at work has made them come to us,” she said. For Tung Tong Sin, 79, it was the worry of his wife, Lim Char Boh, 78, an Alzheimer’s patient, wandering out of their home and getting lost that made him put her in St Mary’s. “There are many things she does not know now. I worry she may get hurt when I have to go out,” he said. Sonia also observes that certain parents, anxious that their children’s careers should progress, are adamant that they do not become the cause of interruption. Some have also expressed preference to be with their own age group as they feel staying home alone cuts them off socially. 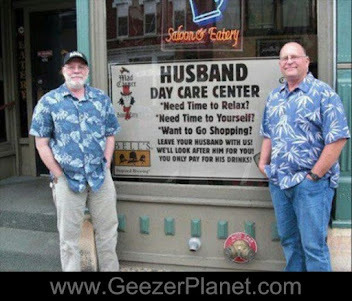 MID-LIFE RETIREMENT = MID-LIFE CRISIS? DO OUR MINISTERS DESERVE TO BE PAID PEANUTS? WHAT DO WE WANT FROM OUR LEADERS? HOW CAN WE WATCH THIS VIDEO AND NOT FEEL GUILTY? WORK BEYOND 65? WHY NOT?